Here and there, bikes will make some sort of noise. While annoying, these squeaks, scrapes, rattles and clicks are your Pedego’s way of letting you know something isn’t quite right. Like learning any “language”, it can take some time to understanding what all the new sounds mean; so here’s a handy guide to some basic Bike Speak. One of your brake discs is brand new or possibly out of alignment. Another easy-to-adjust reason could be your brake pads are set too close to one of your disc rotors. 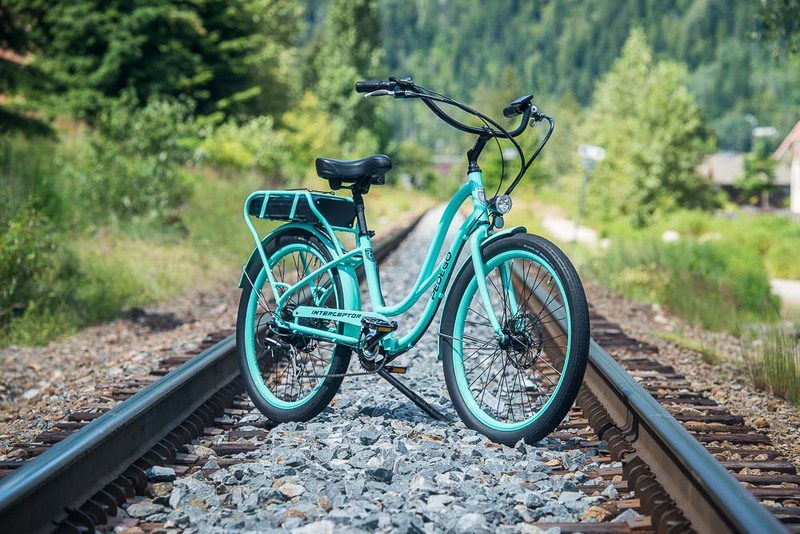 To learn how to make minor adjustments yourself, visit our brake blog; however if the problem persists, call us at Pedego QB and we walk you through a solution or fix it for you. Your brakes could be dirty. Click here for more detailed information on trouble shooting noisy brakes. A spoke may have come loose. To check, gently shake each spoke; a slight flex is normal, but a loose or rattling spoke is not. Alternatively, your reflector could be loose or broken. 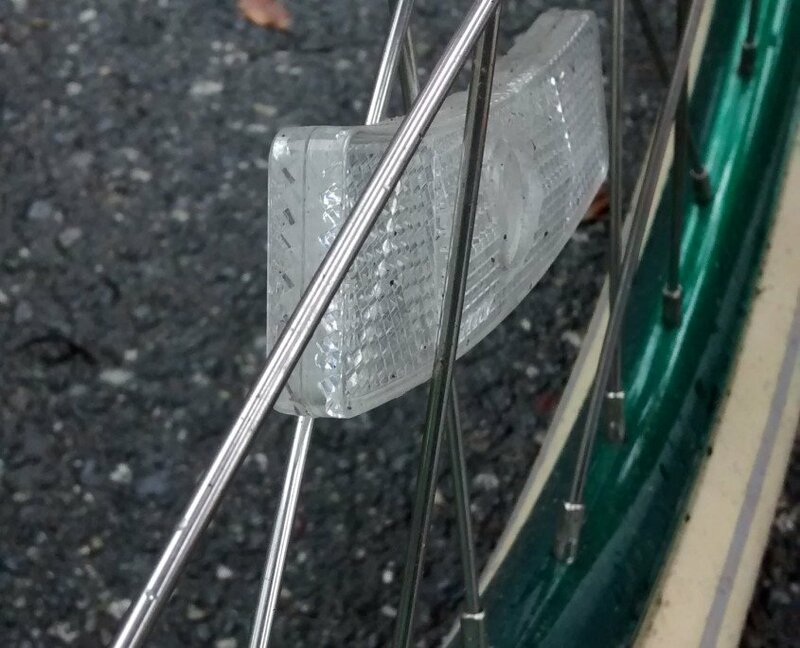 A properly installed reflector should offer resistance when pushed, not spin freely. 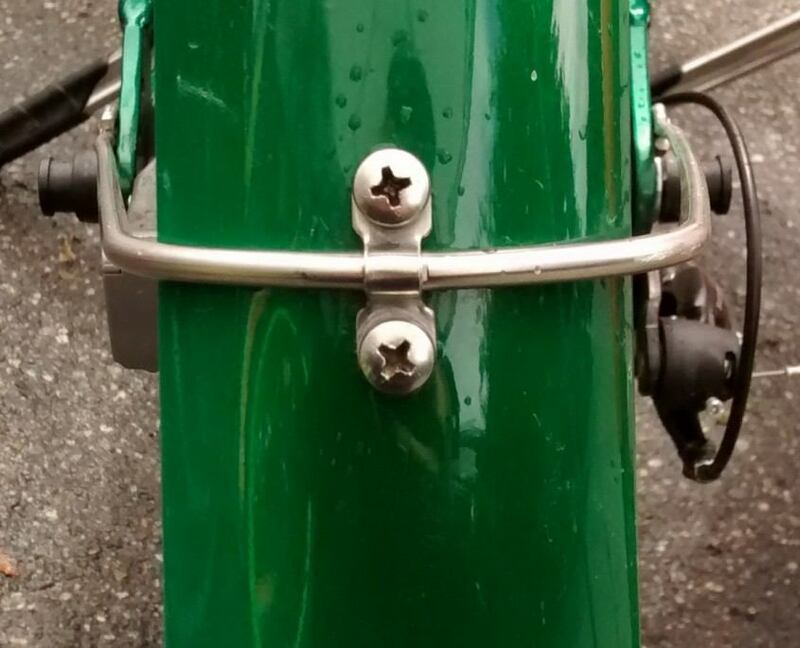 A blue spoke wrench is required to tighten a loose spoke – drop by and ask us how at Pedego QB! The Bodyfloat seatpost helps to isolate riders even more from bumps on the road. Your fenders, chain guard or kickstand could be loose. Make sure all your visible screws stay tight! 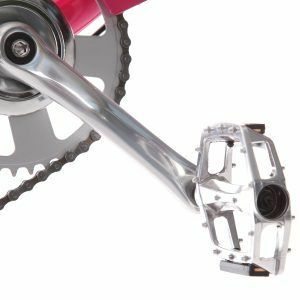 Something could be wrong with the ball bearings in your pedals or bottom bracket (the hidden metal tube that connects your two cranks together). If this is the case, you’ll also feel a distinct popping in your feet through the pedals. Your chain guard could be loose, causing your chain to hit it. 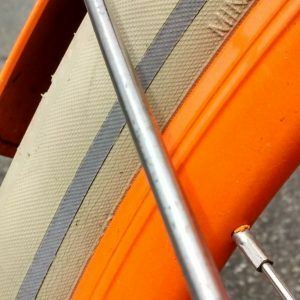 Your chain guard could be out of alignment, causing your crank (the long arm connecting your pedal to the bike) to hit it. A nice adjustment is a counter bend: lift the bike and have someone move the pedals (without pedal assist or throttle) and voila! A counter bend is easy and quick. This could also be described as the gear having a hard time shifting. First, ensure you’re going fast enough when trying to change gears as a too-slow bike will make a crunchy transition. If your speed is fine, your brake cable could be stretched or your derailleur could be out of alignment. Change gears at speed and one at a time and see us if this persists. Your fender or fender bracket could be rubbing against the tire. Or, something could be stuck inside the fender. Take a look underneath, sometimes there’s something obvious stuck in there! If not, swing by to see us at Pedego QB. Don’t forget: a regular semi-annual tune-up will clean up small issues like this so you can focus on riding. Call us to book a tune-up for your bike.